Kanna is technically known as Sceletium tortuosum. It is a member of the Aizoaceae (the Fig-Marigold or Ice Plant family) which is a family of flowering plants containing 135 genera and about 1900 species. The genus is part of the subfamily of Mesembryanthemoideae. They are commonly known as stone plants or carpet weeds. 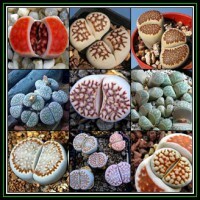 Species that resemble stones or pebbles are sometimes called Mesembs. The succulent leaves grow in pairs during the winter. In summertime the leaves die off, thereby skeletonising the lower stem in order to protect the plant from adverse environmental conditions. As a succulent, Kanna is well equipped to deal with scarce water resources. By minimizing evaporation and using an excellent water storage ability, Sceletium tortuosum is able to survive in low rainfall areas. Plants are climbing or creeping. The slender branches become thick and only slightly woody with age. Water cells are conspicuous on the leaves that have recurved tips and 3 to 5 major veins. The flowers are very shortly pedicellate (almost sessile) and of medium size (20 to 30 mm diameter). Petals are white to pale yellow, pale salmon or pale pink. The calyx has four or five sepals. Fruit are 10 to 15 mm in diameter and open when wet (hygrochastic). The species is readily distinguishable by the imbricate leaves with incurved tips. Most of the approximately 1000 species of Mesembryanthemoideae are endemic to the arid and semi-arid regions of Southern Africa. Sceletium tortuosum mainly grows in the areas of South Africa known as Namaqualand and Kannaland (where rainfall can be as low as 100ml per year). 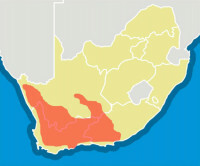 This region is situated in the Western Cape province in the south of the country. Sceletium is also found in other hot and dry areas of the Western, Eastern and North Cape provinces of South Africa. 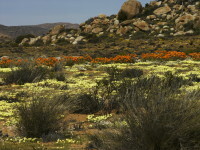 Kanna ranges from Namaqualand to Montagu through to Aberdeen and commonly occurs in quartz patches and is usually found growing under shrubs in partial shade. The plants are insect pollinated. Seed dispersal occurs during rain events by means of hygrochastic fruit capsules that open when wet allowing seed to escape. 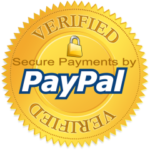 In 1986, Bittrich argued for a broader circumscription of Phyllobolus which included Sceletium as one of five subgenera. Since Gerbaulet was unable to find a synapomorphy (a unique derived character) for Bittrich’s broad concept of Phyllobolus, she reinstated Sceletium as a genus (Gerbaulet, 1996).